Does shopping all day make you tired? Does picking a cell phone plan overwhelm you? Studies into the field of decision fatigue reveal that as people make more decisions, will power is a resource that depletes over time. No matter how rational and high-minded you try to be, you can’t make decision after decision without paying a biological price. It’s different from ordinary physical fatigue — you’re not consciously aware of being tired — but you’re low on mental energy. The more choices you make throughout the day, the harder each one becomes for your brain, and eventually it looks for shortcuts, usually in either of two very different ways. One shortcut is to become reckless: to act impulsively instead of expending the energy to first think through the consequences. … The other shortcut is the ultimate energy saver: do nothing. 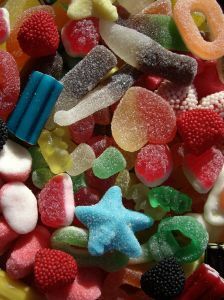 One interesting finding is that sugar helps combat decision fatigue. Also, since everyone is worn down by decision making, smart people work around this by acknowledging their inability to make good decisions. This entry was posted in Culture and tagged choices, decision fatigue, options, sugar on August 18, 2011 by Rex.